Here's the problem: you never realize what you have until you do not have it anymore. Yes, you have probably heard this a million times, but take a minute of your day to really think about it. Realize that the reason why you probably hear it so much is because it is true. The past few days have been rough for several reasons (all of which will NOT be disclosed here because they are very personal). But there was also an upside to all of them involving sunshine, friends, running, and cooking. Unfortunately, I have yet to actually start my internship--I do not count attending a weekly one-and-a-half-hour meeting to mean I have begun working--but a new week has started and summer awaits. Therefore, each day I have with free time will be spent cooking (even if it means loads of leftovers in my fridge). Here is what I had for dinner tonight. 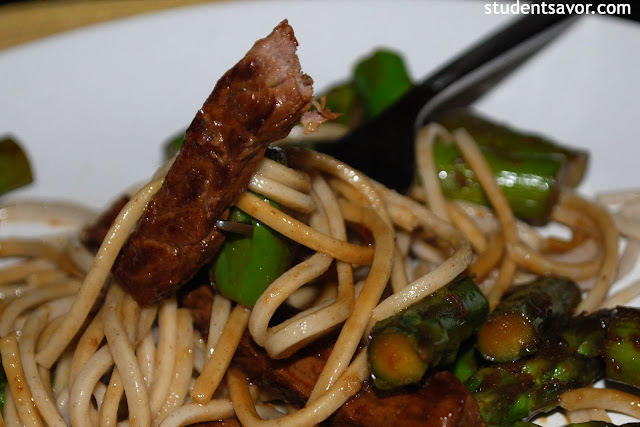 I had never cooked such an easy and delicious stir-fry. So my advice for those who love asian food, make it. In a small bowl, combine first 6 ingredients and mix well. Heat a large skillet over high-heat. When hot, add 1 1/2 teaspoons canola oil and swirl to coat pan. Add steak strips and cook until brown, about 2 minutes. Remove steak from heat and set aside. In the same skillet, add the rest of the canola oil and swirl to coat pan again. Add asparagus and stir-fry for 1 minute. 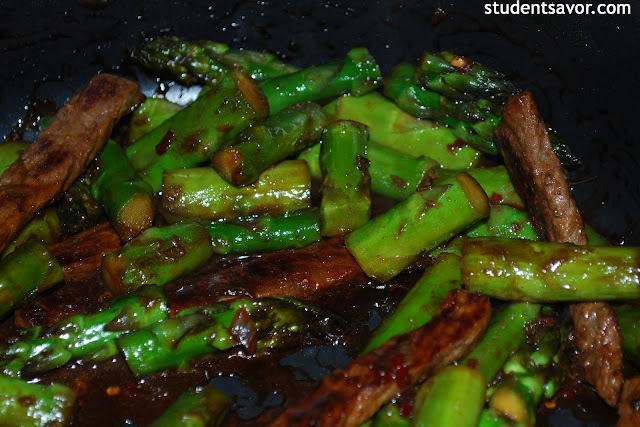 Add ginger paste, shallot, and pepper flakes and stir-fry 30 more seconds. 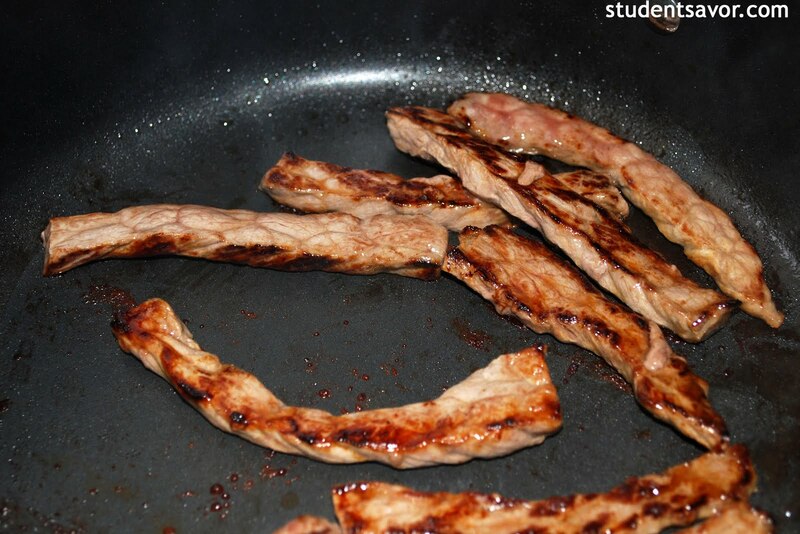 Add steak to skillet and spread ingredients to create a well in the middle. Pour sauce into center of pan and stir. Continue stirring until sauce thickens, about 2 minutes. 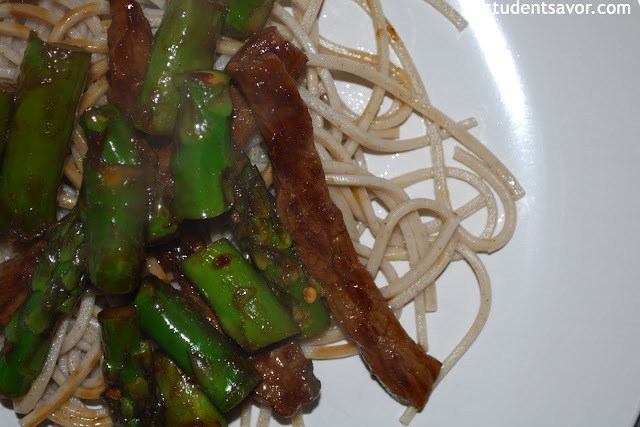 Stir beef and asparagus into sauce to coat. Serve stir-fry over soba noodles (or rice). That looks very delicious! 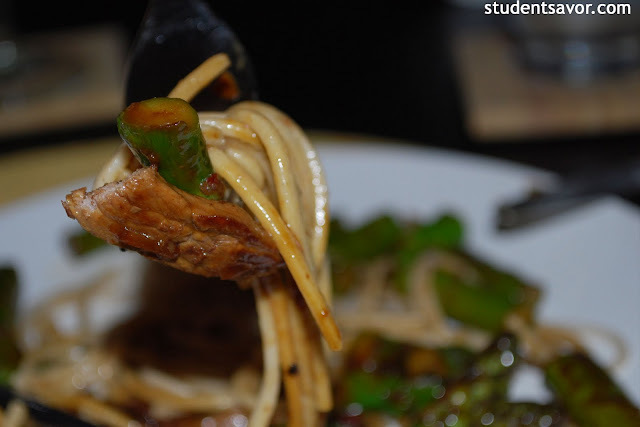 I really love the images that you've put in your blog! I would like to try this recipe tomorrow for my breakfast. Thank you for sharing!